Normally use six days of the week, have used these for a number of years and they suit me better than anything else that I have tried. They are good quality. This is the exact product I get from my opticians but at a reduced cost. These lenses are great value for money. I first bought them for going on holiday but have been using them regularly ever since. Comfortable for up to 10 hours. Soft comfortable lenses, great price. Have used them daily for the last 20 years without any problems, no slipping or dry eyes. Comfortable to wear. Last for hours, easy to put in! These are ok, a bit too flimsy for my liking so will be looking for a slightly better quality. For the price, these are good, comfortable lenses. I use them every day and have never had a problem with them. Really good quality, eyes are not dry even after the whole day. I definitely recommend. used daily and would recommend to any user of dailies. 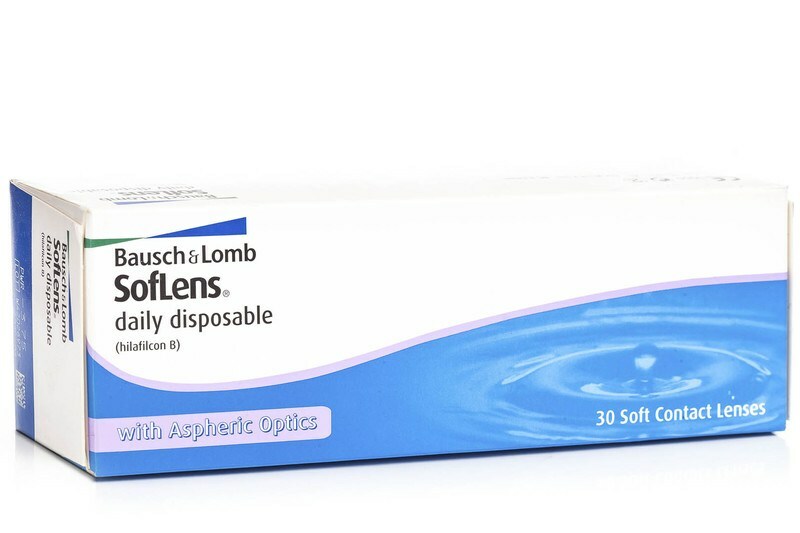 SofLens Daily Disposable lenses from Bausch & Lomb are the first and only daily disposables with High Definition optics – an aspheric design that gives exceptional vision all day, and especially in low light. They’re also the only lenses with ComfortMoist Technology – a combination of thin lens design and a slow-releasing solution that provides outstanding all-day comfort. SoftLens Daily Disposable are popular amongst users who have problems with other types of contact lens. I read the reviews and the answer that there is 30 lenses in a box and it is for 30 days. A box with 30 lenses for 15 days, if a person has 2 eyes. And in general, the lenses are very good. Yes, they seem to be polular lenses, so they must have a certain quality about them. Most people have different parameters for each eye, therefore they will need one box for each. is this this pack for 30 days or for 15 days? I found these a little difficult to put in as they are so thin. They are comfortable when I eventually get them in my eyes, I have been wearing contact lenses for 25 years so I'm not new to them .